Guyana will strengthen and improve access to drinking water and sanitation services with a US$16,838,250 loan approved by the Inter-American Development Bank (IDB). The initiative is known as the program to improve water and sanitation infrastructure and supply. 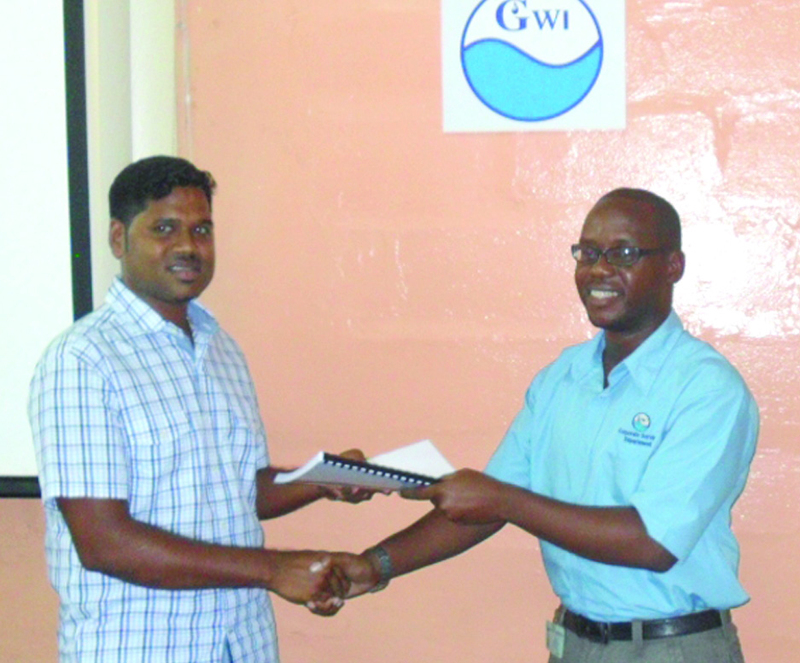 It calls for infrastructure projects to build, upgrade and expand water treatment plants and enhance access to adequate sanitation through measures to strengthen the supplier Guyana Water Incorporated (GWI), the design and implementation of a program to monitor non-registered water and a public awareness campaign on the use of water and proper hygiene practices. Despite progress over the past decade in access to safe sources of water and sanitation, water and sewage services in Georgetown and other coastal areas still face constant institutional, financial and operational challenges. For instance, the quality of water supply services is hindered by a deterioration in water distribution networks, with 50 percent to 70 percent of water used going unaccounted for at the national level (and more than 70 percent in Georgetown). Furthermore, the current sewage system covers just 48,000 people living in Georgetown — about 6.5% of the national population. The rest of the population seeks individual solutions, but in some cases these arrangements are not adequate. The program is expected to increase the percentage of households with 24-hour access to water and water pressure that is in line with national standards, reduce the percentage of water that goes unaccounted for and raise the number of homes with improved access to drinking water and proper sanitation arrangements. 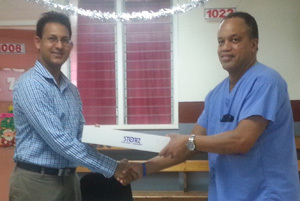 Members of the visiting Caribbean Medical Mission on Tuesday presented medical equipment to the Urology Clinic of the Georgetown Public Hospital valued around US$10,000 to 15,000. The team is a part of the Organisation for Health Advancement for Guyana/ Caribbean. Dr Winston Mc Grill, a member of the team (residing in New Jersey) told Guyana Times that the gesture was initiated through good relationships he shared with friends in Guyana. Georgetown Public Hospital Corporation (GPHC) Chief Executive Officer Michael Khan said the donation was timely, and noted that Dr Mc Grill will be conducting surgery with the Guyana team today. Dr Chris Prashad of the Urology Clinic said the hospital needed new equipment since the old ones have deteriorated, pointing out that the fight is on to battle cervical and prostate disease. Dr Mc Grill said this is his first visit to Guyana but will not be his last as the tour was worthwhile and visibly appreciated by those seen and treated. He further noted that there is much more to be done and his mission will continue. During the simple presentation ceremony, questions were raised about prostate cancer, more specifically if it is true that men are reluctant to do checkups because they are ridiculed by their womenfolk. Dr Prashad, who responded, said this is not so since women often urge their husbands, fathers or other male relative to take necessary actions as the need arises. Though there is no data on men suffering from prostate cancer, Dr Mc Grill said the number of African men affected has been on the increase.